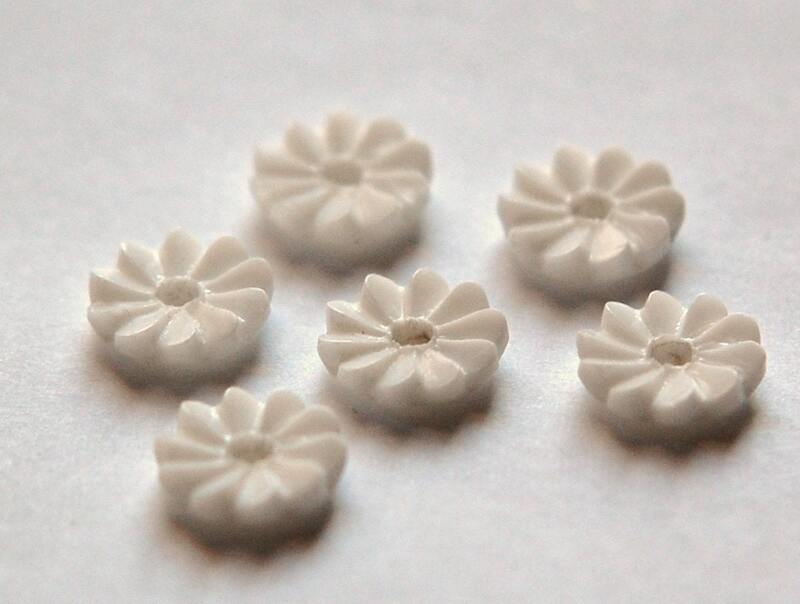 These are vintage glass flower beads or cabochons. The petals look like a pinwheel. These have a center beading hole. The back is rounded. These measure 10mm. You will receive 6 pieces. 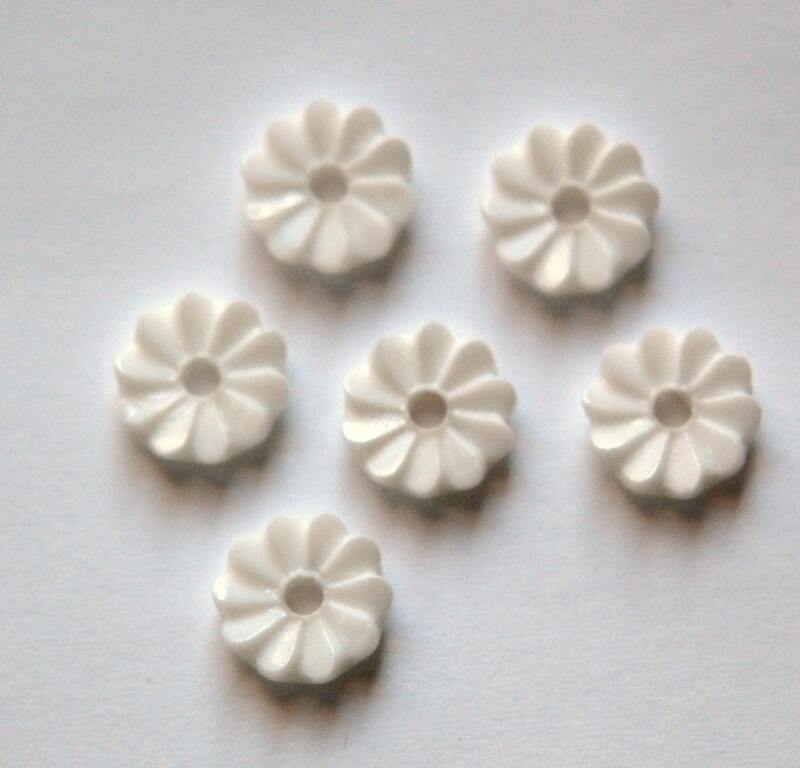 Your shop always has a wonderful selection of cabochons. I am happy with all my selections as many will be used in my next beaded mosaic. I especially look for these white flowers, and I'm glad you still carry them. I can't wait to use these! Thanks!! !